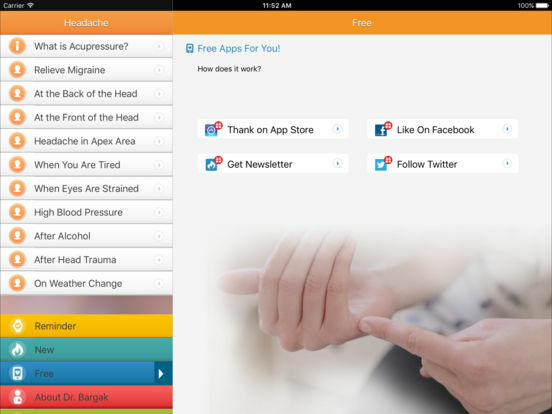 "With the App, I could significantly reduce my headache. 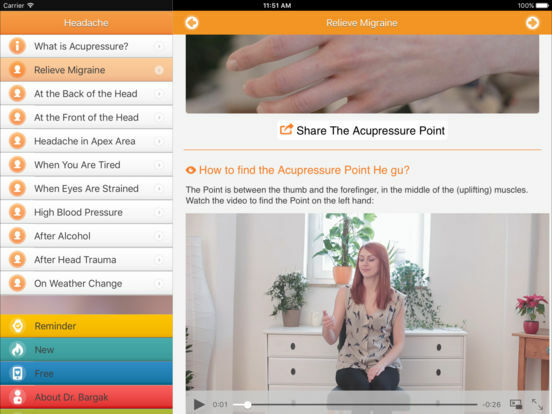 The points are easy to find using the videos. 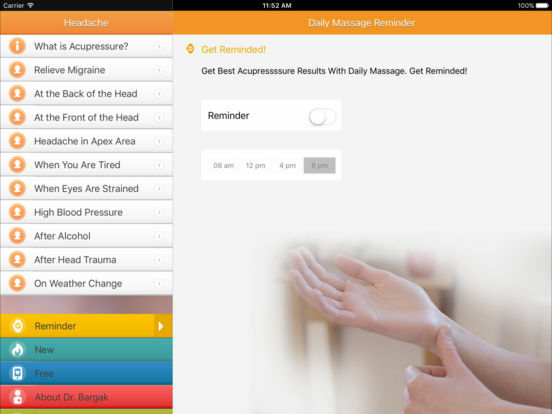 I am so happy to have the App always on me, on my iPhone and iPad"
For a price of a cup of coffee, you get a proven Headache Helper for ever with free lifelong updates containing more massage points. If you are dissatisfied with the product, let me know and you will get your money worth back.